Reps, weight, and even the duration of your workouts can improve by using the Weekly Workout Schedule. The free template is the ultimate guide to analyzing your workout routine and finding ways to improve little-by-little. This document serves as your own personal trainer. You’ll simply enter your current workout information, such as the number of sets, reps, and weight you can do/lift and analyze that information after you try newer techniques. You can see which ones work well and weed out the ones that don’t work at all. 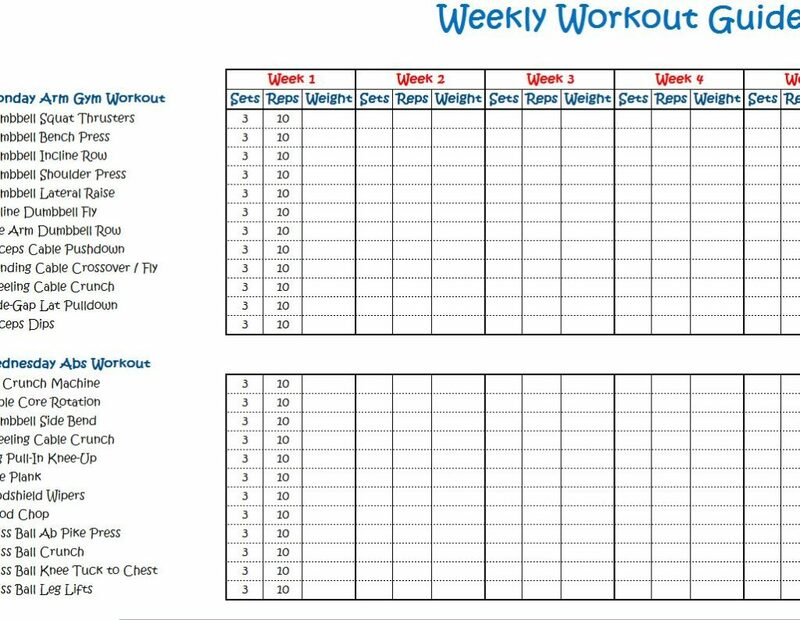 This template will simply keep track of your workout information to keep you motivated to keep improving. When you open the template you’ll find a list of workouts in column A. These are some of the most common routines but you’ll easily change them by clicking the cell and writing something new. It’s just that simple. When you’re happy with the different workouts in the first column, you will start filling in the information you know. Go to the gym and see how many sets and reps you are able to do and how much weight you can lift. Once you have that information, just fill in the section week by week. Now is where you get to experiment a little. Go online and see if you will find different techniques to make these workouts more challenging or easier for you to lift. Try them throughout the weeks and see which techniques actually gave you results and improved your statistics. Using this method over and again is sure to give you the results you’ve been craving. Don’t miss your chance to improve your health. Download the free Workout Schedule today! Everything you need is on a single page.